Get lost in a musical odyssey, view the phases of the moon, and relax to the sounds of nature with today’s collection of apps and games. Mooncast – The Phases of the Moon ($0.99 → Free, 44.0 MB): View the current phases of the moon and how long until the next full moon with Mooncast. It’s for anyone who enjoys looking up. Mooncast does only a few things, but it does them extremely all well. You can swipe through each screen to see the moon illumination for that day, or you can jump to a specific day by activating the calendar view and spinning the wheels. Mooncast can remind you when a full moon is approaching, and even display phases of the moon on the lock screen. 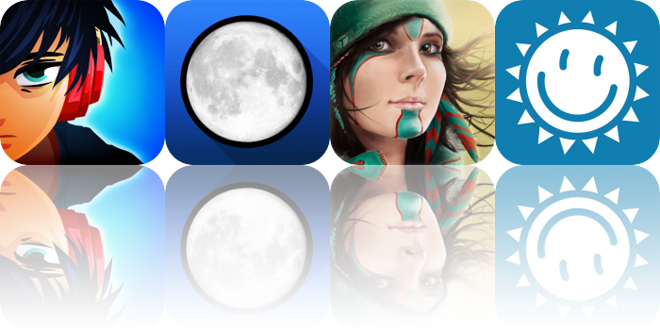 Mooncast – The Phases of the Moon is available for free for a limited time. It has a 4.5-star rating with a total of 170 ratings. YoWindow Weather ($2.99 → Free, 55.4 MB): Have a look out the window to see what the conditions are like with this fun weather app. YoWindow is ideal for anyone looking for more than just a list of temperatures from their weather app. 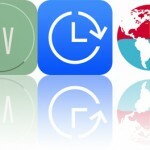 YoWindow Weather is available for free for a limited time. It has a 4.5-star rating with a total of 1870 ratings. Windy ~ Sleep Relax Meditate with natural white noise sounds to calm your mind and focus ($2.99 → Free, 90.6 MB): Block out the world with the sound of wind with Windy. 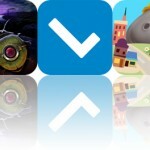 It’s ideal for those who have enjoyed any of Taptanium’s other relaxation apps like Away, Sunny, and Thunderspace. Windy ~ Sleep Relax Meditate with natural white noise sounds to calm your mind and focus is available for free for a limited time. It has a 4.5-star rating with a total of 4996 ratings. Lost in Harmony ($3.99 → Free, 143.2 MB): Race through a musical odyssey in Lost in Harmony. It’s for fans of rhythm games. Lost in Harmony allows you to experience music in a whole new way. Guide Kaito and Aya on their adventure through 30 painted environments with taps and swipes. Stars will appear on the screen to the beat of the music, and you must tap at just the right moment to earn a perfect rating while dodging obstacles with swipes. The game also includes the ability to create and share your own levels, and all kinds of character customization options. Lost in Harmony is available for free for a limited time. It has a 5-star rating with a total of 196 ratings.